Today, I'll explain the big Descendants family tree. It connects Uma, Mal, Maleficent, Hades, Ariel, Hercules, Prince Eric through blood. 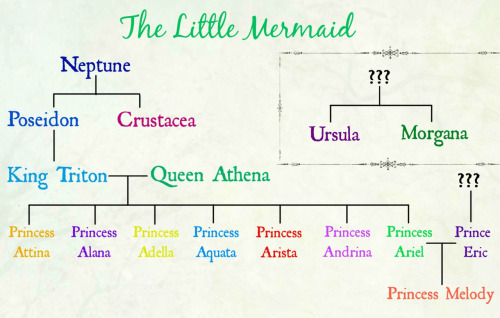 NOTE: This tree consideres the Little Mermaid Musical as canon and Hades as Mals proven father. Poseidon, Zeus and Hades. 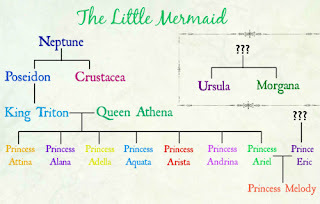 According to the musical version, which is canon in this blog, Poseidon has three children with an crustacea woman (half octopus). 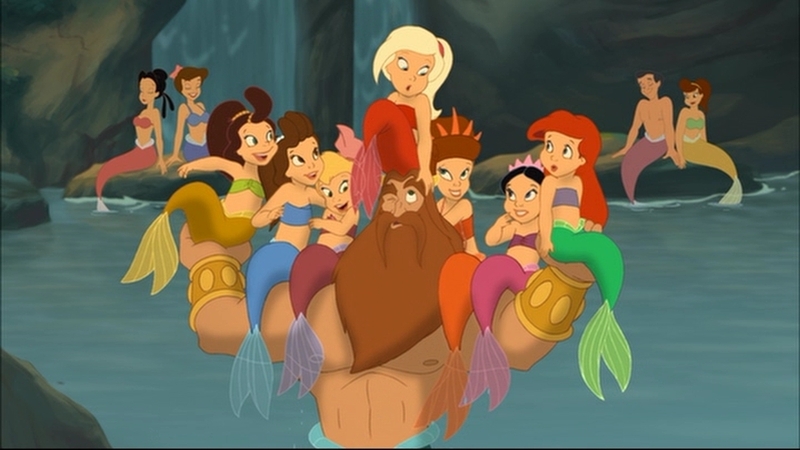 Those children are King Triton, Ursula and Morgana. For some unknown reason however, Morgana and Ursula were banned from the Atlantican Court by their brother. It has something to do with their witchcraft and their mother wanting them on the throne. Ariel is of course the disney princess we know and love from The Little Mermaid. 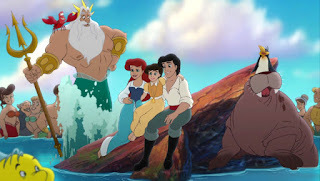 Attina marries in the Little Mermaid comics to a merman prince and Ariel of course marries prince Eric and has a daughter named Melody. In Rise of the Isle of the Lost we are introduced to Ariels niece Arabella. It's unknown which sister is her mother but because of her purple color scheme we can guess Alana or Andrina. Her fashionable personality and vanity indicate Alana. So much for Poseidons line, let's move on to his brother Hades. At first you might not think that Hades has descendants or even a significant other, but just you wait. In Greek Mythology, Hades has a wife named Persephone (let's skip the part that she's his niece by his brother AND sister, shall we?) and she actually appears in Hercules and Hercules the series. It could be that she's the mother of his son Hadie from the Descendants book series. Either that or the Wicked Witch of the West. They were dating in Once Upon A Time, a show by Disney, and she's a villain so she could be on the Isle but I'm sticking with Persephone. BUT I'M NOT DONE! Descendants 3 hasn't even released it's trailer yet but it's already hinting that Hades (portrayed by Cheyenne Jackson) will be Mals father. In the teaser she's walking to an ancient greek pillar with a blue flame saying her name. She responds: Dad? 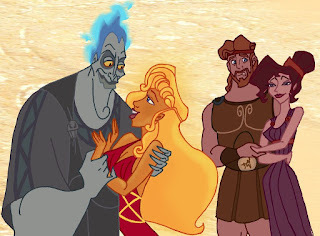 The brother of Hades and Poseidon is Zeus, who married Hera and had a son named Hercules in the movie Hercules. 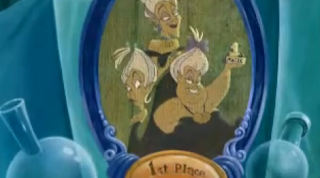 In the cancelled movie, Hercules and the Trojan War, Hercules has married Megara and they have a daughter named Hebe. And hell yeah I'm counting it as canon. Sorry Disney, you made it up, you'll have to deal with it. Anyhow, in the second Descendants novel, Herkie (I'm praying a short name for Hercules II) is introduced, so Hercules I married Megara and had two children: Hebe and Hercules II.